Warm tortilla up and put in a couple spoonfuls of taco meat, then add two slices of cheese and desired amount of jalapenos. Fold up and place in greased glass baking pan. 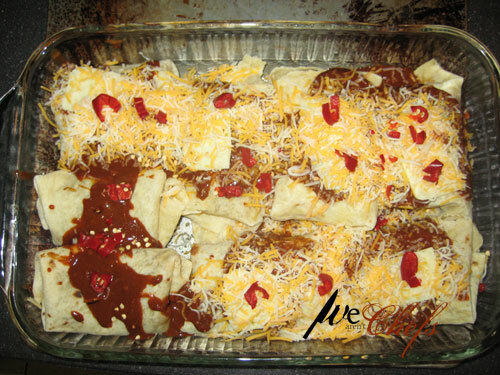 Once you have all the enchiladas wrapped up and placed in the pan, pour the enchilada sauce over the top. 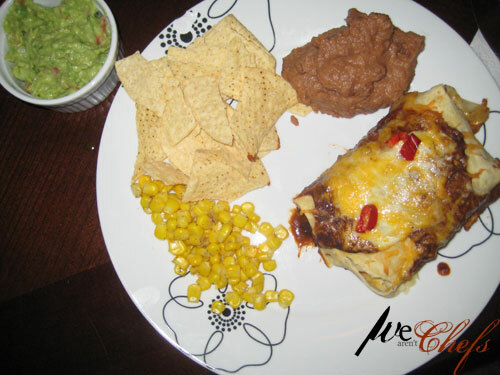 Place the the rest of the pepper jack cheese on top of the enchiladas and add more jalapenos if you wish. Then sprinkle the Mexican cheese on top covering it up. Cook about 20 minutes or until cheese is bubbly.